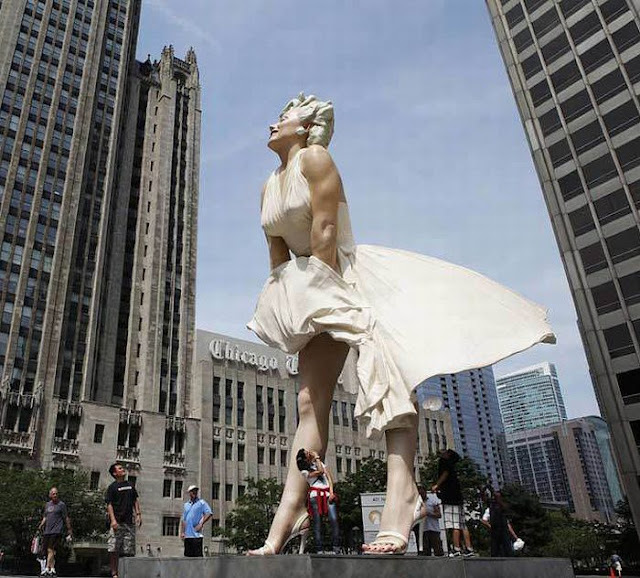 A sculpture of Marilyn Monroe in her most famous pose was unveiled on Chicago's Magnificent Mile. It is made ​​of stainless steel and aluminum, 26-foot tall and weighs 15.5 tons. Passers-by wasted little time positioning themselves under her billowing skirt to get a subway-grate view of Monroe in the same stance as she appeared in the 1955 film "The Seven Year Itch." Sculptor in charge is Seward Johnson.